Your ULTIMATE VACATION experience is right here! Barrington-Hall private yacht charters around the world, we rent private yachts with captain and crew teams in most destinations, but guests’ most popular destinations remain: Caribbean, Bahamas, French/Italian Riviera and Greece. It is wise get the right broker who has cruised all these locations in a private yacht and or captained vessels in these locations, because that broker/brokers generally know exactly what they are doing and are very serious about making sure their guests get the best and see the better anchorages in those various locations. Barrington-Hall know which is “THE” best one week of the year and which is the best week of each month, and we explain why. Not all brokers are the same, 10% of brokers treat this profession as a full-time profession, the rest dabble in the industry. Barrington-Hall and staff have two professionals captains who have both remained within Barrington-Hall since 1995. We treat this industry as our full-time profession and have done so since inception. We travel to various boat shows around the world, so that we know the boats and the captains and their crew teams. Annual boat shows we attend are Greece, Genoa, Antigua, Tortola and the USVI boat shows. The better we know the crew and their yachts, the better your vacation. It is your broker who shares with you, where to go and what to do, we were by far the first company to set up example itineraries with our own pictures to show guests where they are going to be. We want our guests to be as educated as possible about their selected yacht and location. Once you speak to Andrew or any one of the Barrington Staff you have reached the top private yacht company out there, no need to look for other brokers. You will always reach one of our staff 24-7 and a live person always answers the telephone, unless all lines are occupied. You will never here the words, Hi your call is important to me I am away from my desk, leave a message and I will get back to you. If your call is important to them, then a live person will answer it, no excuses. It is also your broker’s duty to keep all guests away from open ocean crossings, when you cross an open ocean passage it is there where the ocean swells are and this is where guests get motion sickness. It is virtually impossible to be uncomfortable with the guidance of a top yacht charter broker. We provide our clients with material that enhances their yacht rental with us. We do not do “bare boat” rentals, no “captain only” rentals, all our yachts around the world are fully crewed. Give our telephone number 954-720-0475 to family and friends, just in case of emergencies, I am the only person they will get at 2am 3am and 4 am, this includes week-ends. If you read STEP # 1, you know we are the only company for you in the world. Your ultimate decision is to first select the right broker……. STEP # 2. Yacht rental. Do not plan your trip in advance, get the right broker who will share with you everything you need to know about your itinerary. Now is not the right time to plan your itinerary, there is far more important things to do. We want your mind fresh and clear to do only one thing and that is select the boat you wish to enjoy and the crew you wish to enjoy. Clear your mind and ask your broker which yachts he/she suggests for your location. What a top broker does here is carefully select vessels he/she feels will fit your party -family or adults, active, passive, take it as it comes, cuisine, water sports, land sports, drinking party, normal drinkers, no drinkers, expensive weekly cost or normal. Many aspects effect your brokers mind, so it is wise for a top broker to provide a maximum of 3-5 vessels for you to select from. This means your broker has selected what he/she feels is the very best yacht for you and then we motivate which one meets your needs the best. Not all of us think the same, so if guests find a vessel on the internet first tell us the name of that yacht, you may have selected one he nearly placed on your top list, so it is a good one, or he/she may have walked far away from what you found on the internet.. Be careful we are dealing with people and some may not meet the standard we expect our guests to enjoy during their vacation. As a broker my job is not to save our guests $500 or $1,000 my job is to make sure we get the right yacht for our guests. We know when a saving of $800 is a good deal and only then will we tell our guests. Most owners simply offer specials because they cannot get enough business. Make a big note of the boats that have a 3 minute video, plus color brochures, these are generally the owners who give brokers the best tools to work with to solicit one week yacht rentals, so these are generally the better vessels to pay for. Our very first e-mail to our guests featuring various vessels will also has one example picture itinerary. This is more to show you what can be done than anything else, but everything is planned by myself at the appropriate time. From the 5 vessels provided by your top yacht charter broker you can study their water toys, their after charter happy letters, their cabin layouts, their deck space for sun tanning, specifications, and crew profile plus look at the crews pictures, then peek at their different weekly rates. If one or two water toys are not on board the yacht you like, your yacht charter broker can have that placed on board for a small rental fee. Look at the year of manufacture, with Caribbean catamaran charters this is vital to your vacation because two different items have been manufactured into 2011-2017 catamarans, (some manufacturers have missed this even to today), but a top yacht charter broker will point out, each new Caribbean catamaran that have walk around beds in their cabins, better comfort for guests. The new sky lounge is an added 3 rd floor to the roof of these new catamarans, this is where guests sun tan, or sit next to their captain while cruising between the islands. This new sky lounge is where guests enjoy sunsets, high in the air with happy hour drinks and treats. Once guests charter a catamaran with walk around beds and a sky lounge they never want anything else. catamaran vacations will never be the same again, they just seem to be evolving. Many features on Caribbean power yachts, or all modern power yachts separate them as well and as long as the owner has maintained vessels correctly they can look brand spanking new even after many years chartering. Take “Christina O” – this yacht belonged to Aristotle Onassis, who wooed Jackie Kennedy in the late 1960’s and this 1932 yacht was recently totally upgraded and looks magnificent inside. But many guests like the new modern sleek look, so the recently designed vessels from 2005 onward well maintained are generally the ones guests gravitate to today. STEP # 4. Checking all details. Having your broker provide your selected yachts means you do not need to look on the internet, that has been take out of the equation because of the work already done by your broker. You can comfortably look on the internet, but always ask your broker what he/she feels about the yacht you found. This is also an industry where selecting the cheap yachts can bring headaches. WE always suggest all our guests take out trip insurance, we can do this and also cover your airline seats as well as the cost of your yacht. 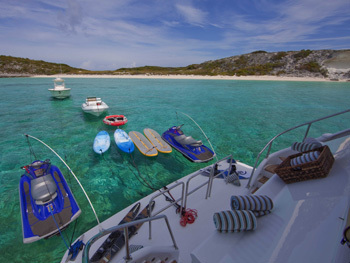 Virgin Island yachts are normally price weekly and are all inclusive, because they know traveling is short and sweet, so price for fuel is generally no problem. The rest of the world price differently because no person can guess where guests are going to ask their captain where to go, so the big factor is fuel. If you ask for caviar, with expensive wines and champagnes, it can drive up costs as can docking one, or every night. So this is how all other vessels are priced for one week. They have a base rate say $40,000 this is plus expenses + tax (if any). Barrington-Hall always total up all costs for all our guests. Plus Expenses: The A.P.A. (Advance Provisioning Allowance). This sum is estimated at 35% of the total charter fee. The captain keeps all the receipts for the expenses and at the end of the charter will hand you receipts and the cash change. If costs exceed estimated APA, then additional funds will be required to cover outstanding bills upon disembarkation. APA covers, fuel, food, drinks, water, dockage and any costs incurred by your power yacht during your charter. 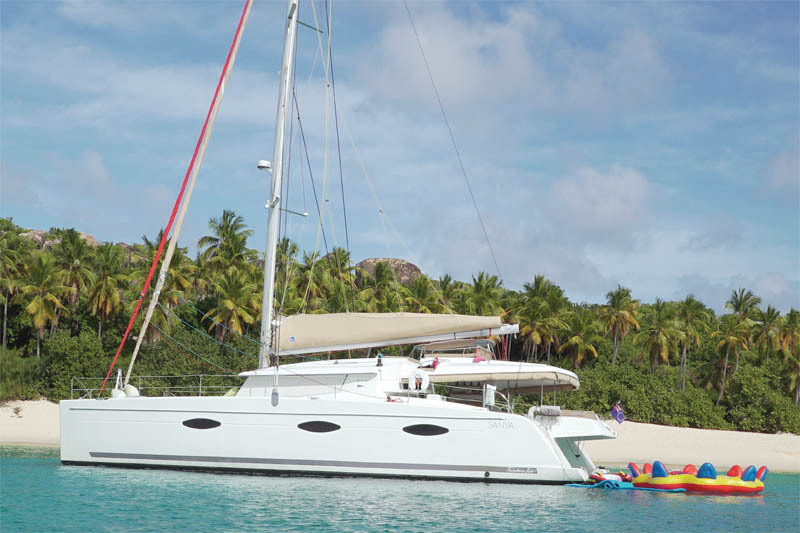 Plus expenses on a catamaran can be between 20%-25% or 30% depending on location and owners. Whatever money is not used during the week is refunded to guests. 90% of all our guests get a refund on their last day with a print-out of expenses. Now to make reservations and payments. The earlier you book your trip the sooner you get the best vessel and best crew. 10 Months to 7 months is the normal booking time period. Here is how “YOU” do this. Let’s say you and some friends have a BBQ to get together to discuss such a trip and 3 agree to pay one third of the fees, then at this stage all 3 of you have settled on a provisional yacht. Call me immediately and I place a hold on the yacht for your trip. You are not obligated to this hold in anyway, I can drop the hold, you can change dates, or the boat and do a fresh hold. The hold in the Caribbean is good for 14 days and I can extend the hold for a further 14 days. The rest of the world has zero hold periods, whoever pays first gets the yacht. Generally we can go closer to the time of departure with selecting your yacht. No one is going to hold it. When these companies deal with Barrington-Hall they know we are serious, they will hold your yacht for us, as respect, but generally for 1 week. At this stage we have not discussed itinerary in anyway. We have not discussed your cuisine or your drinks, again it is smart to keep your mind clear so you select the yacht you want & your Barrington-Hall yacht charter broker is comfortable with your crew & knows all the sweet points about your yacht you have your eye on. First a hold is placed on the yacht you have selected. The idea of the hold is, so no one books the yacht you have selected to enjoy while you read and sign the agreement, date it and e-mail back to Barrington-Hall. Once this is done from your side, e-mail the signed agreement to us, then mail us the original and your check payment to us, or you can wire the funds to us. We would get your signed agreement the same day and send to the owner for his signature. Owners have 20 days to sign your agreement but normally send back after a few days. I will also let the owner know I have your deposit and he in turn sends us your agreement signed by all parties, it is only then that we send them your deposit, which is contracted to be placed in their escrow account where the owner cannot touch the funds. You can now go ahead and purchase airline seats and do this as soon as possible, the airlines normally raises rates the closer we get to boarding times. It is now that we automatically mail our guests a complimentary package, this package would contain items related to your vacation like a WELCOME MAGAZINE if in the Virgin Islands. This is a fun package and we also send you a 5 page food and bar preference sheet, this is a tick-off program so write what you do not wish to eat and your professional chef will attend to this in detail. Now when the deposit has been paid to Barrington-Hall and the agreement has been signed by all parties it is time to discuss trip insurance as well as discuss an example itinerary. The more ideas shared with you means you have smarter answers for your captains first question for you—That is “WHERE DO YOU WISH TO GO AND DO?” That question is his first when you are on board, but we are not on board yet. 12-10 days prior to your vacation your captain and chef will call and confirm where to meet them. Your chef does not purchase any cuisine until she has discussed this with you. At all times your broker is by your side, so call us for any questions no matter how small and give 954-720-0475 to family and friends for emergencies my telephone rings 24 -7. Greece yacht charters: Our guests are under our umbrella from when they land in Athens until they get home. My agent in Greece personally sets up the limo when you arrive in Athens and you will meet my agent who introduces our guests to their captain and chef team. We do many catamaran trips in Greece but most are Greece power yachts. SLIVOCHKA 59 foot – sleep 10 guests – 3 minute video.